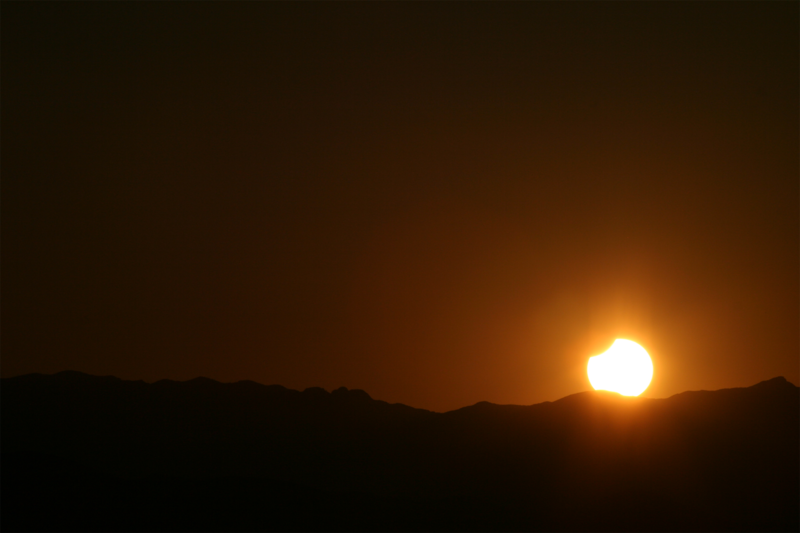 May 20, 2012 Solar Eclipse – Teaser! 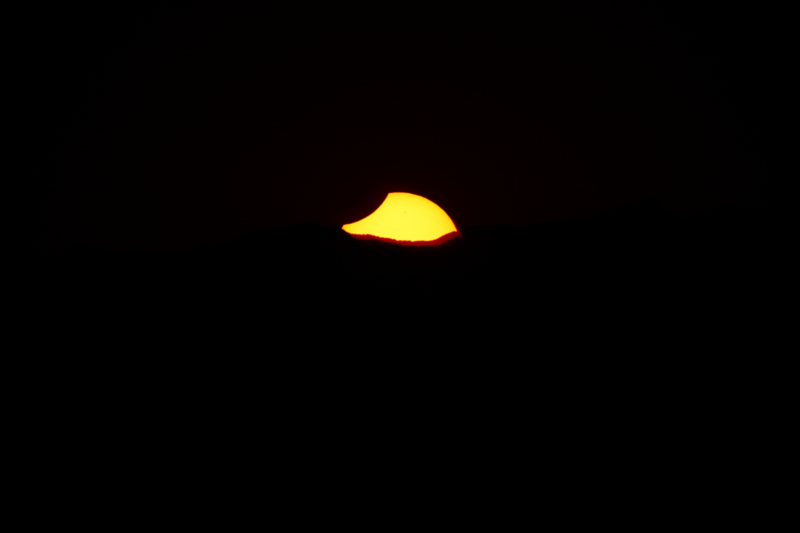 This image was taken by Bryan Duke from Henderson, NV on May 20, 2012 at 6:35PM PDT. 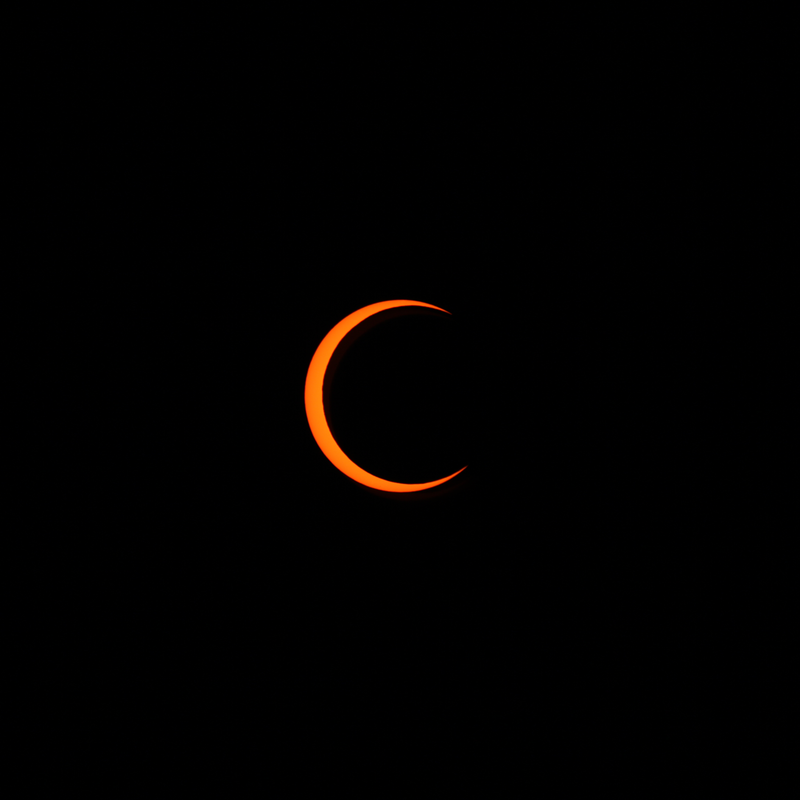 It was taken with a Canon 5D Mark II, Celestron 80ED telescope (600mm, f/7.5), Thousand Oaks Optics solar filter, & Celestron CGEM mount. The photo was 1/125 sec at ISO 100. 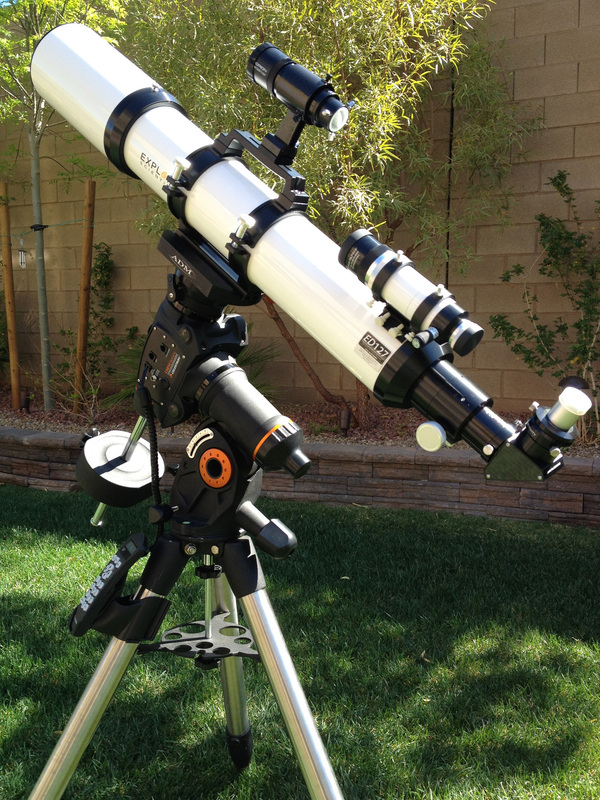 Pete Mumbower has an outstanding idea for making a Celestron CGEM mount easier to polar align. He adds “Slick Strips” to the top of the tripod where the mount rests. This makes tweaking the alignment of the mount much easier. My Slick Strips are on order! My old C8 is gone and I have a new Explore Scientific 127ED in its place. Here’s the new scope on my CGEM. A simple moon shot was the first photo target. I plan on taking more photos through it soon. During the trip last weekend to Mahogany Flat Campground, a good friend of mine, Jason Dotter, shot this time lapse sequence of the Milky Way. He used a Canon XSi with a 15mm fisheye lens. ISO 1600, f/2.8, 30 second exposures spaced 10 seconds apart, starting at 2:43 am and ending at 5:27 am. Please click here to watch this in it’s full 1080p glory at YouTube. 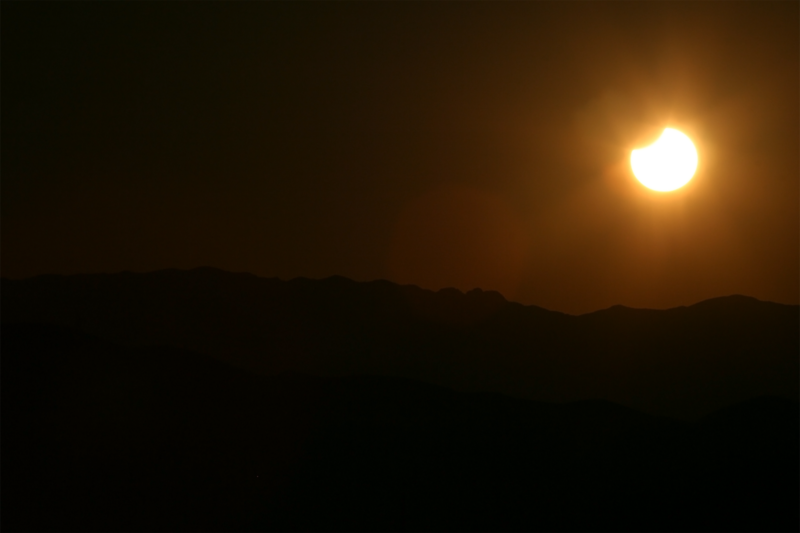 I just got back from a dark-sky trip to Mahogany Flat Campground in Death Valley National Monument. 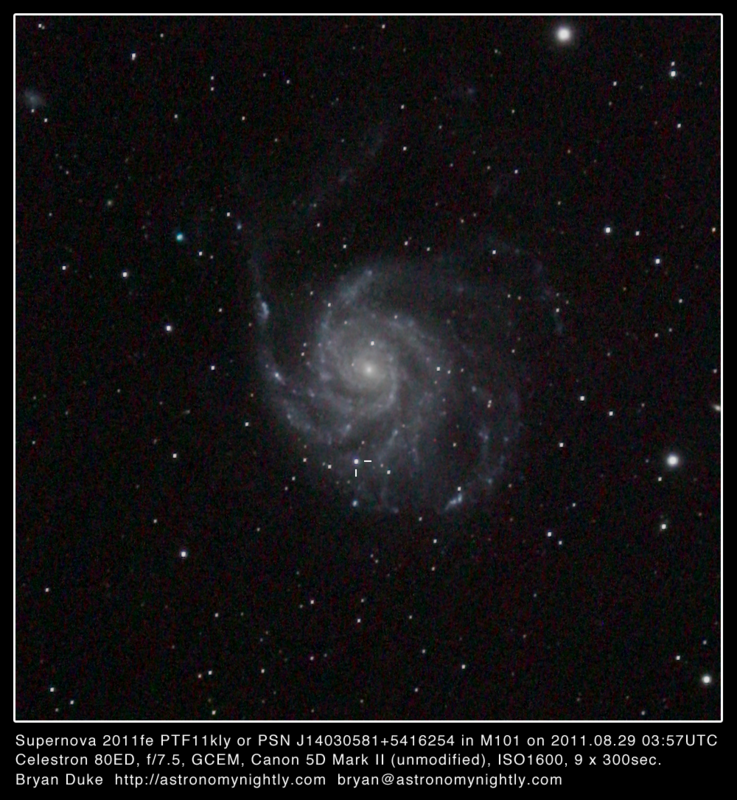 I captured this image of the recently discovered supernova in Messier 101. Click the photo for the full resolution version. 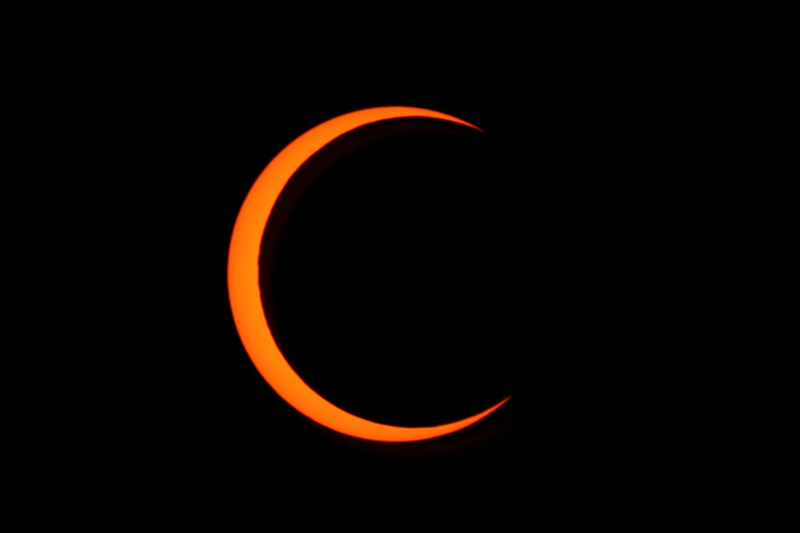 The image was taken with an unmodified Canon 5D Mark II through a Celestron 80ED refractor mounted piggyback on a C8 on a CGEM mount. I took 12 exposures each 5 minutes long for this shot. I combined & processed them using Nebulosity. I haven’t taken the time to get a magnitude from this photo, but comparing it to earlier photos, the supernova is definitely getting brighter very quickly. For full disclosure, I need to share that I had a photo in the running for the Lion background image. The photo that has that honor is way better than mine. I knew something was up! 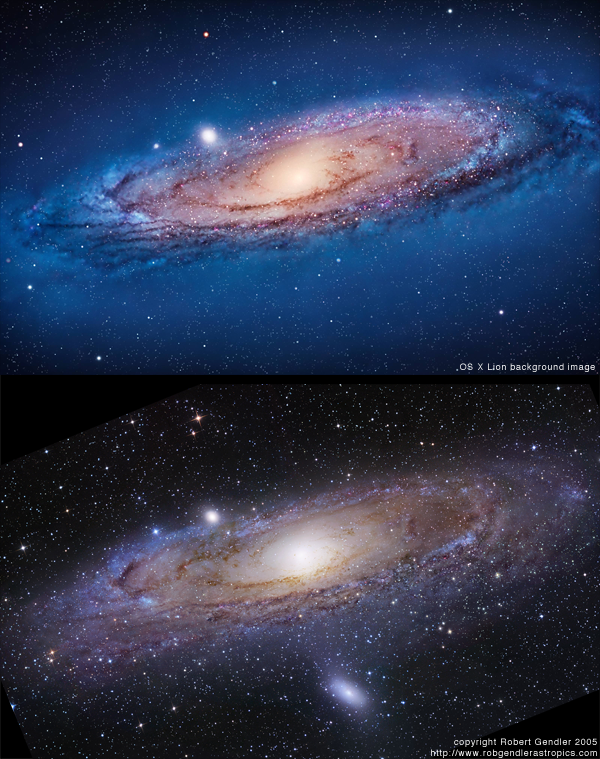 Like everyone else, when they unveiled the new Andromeda Galaxy (aka Messier 31) image used for the default OS X Lion background, I thought it was perfect. I still do. Still, something bugged me about it. As an amateur astronomy kinda guy, I’ve looked at the Andromeda Galaxy lots of times through telescopes and taken several photos of it. Last night, I had my telescope out & looked at Andromeda around midnight. I figured out what bugged me about the Lion background photo. There’s a whole galaxy missing! 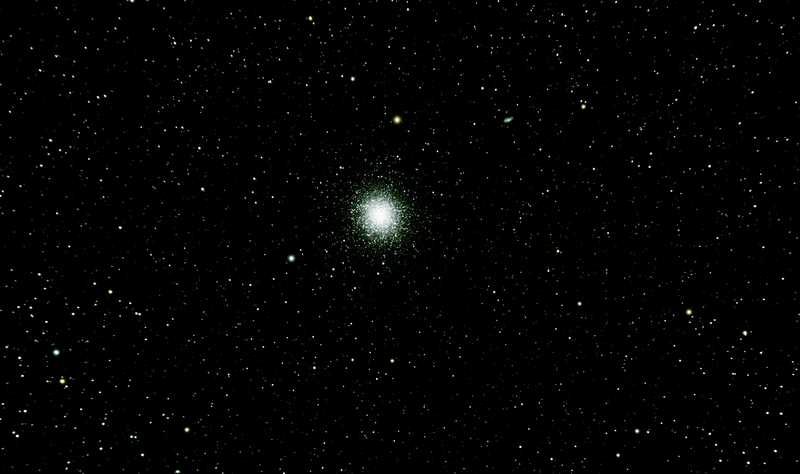 Messier 110, an elliptical galaxy, is a satellite of the Andromeda Galaxy that’s missing from the Lion background photo. Check out the photo comparison below. The first one is the Lion background image. The second one is an Andromeda Galaxy photo taken by the amazing astrophotographer Robert Gendler that I scaled & rotated to match the Lion background. Look on the lower middle portion of the images. Notice anything missing? Seriously, though…who cares? The Lion background, much like the previous OS X backgrounds, is meant as art. The blue glow & star field around the galaxy have had some work done to them too. I love the default Lion background image. You just probably shouldn’t use it for astronomy class. 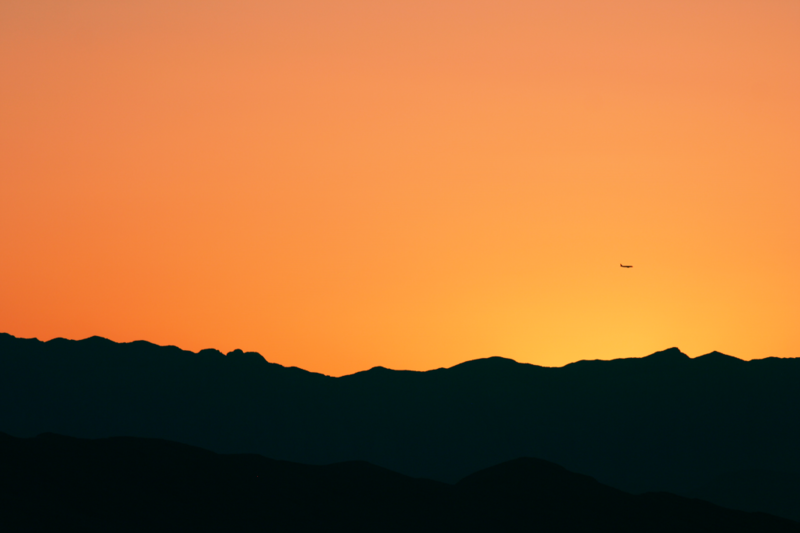 I took a trip to Death Valley National Monument a week ago. 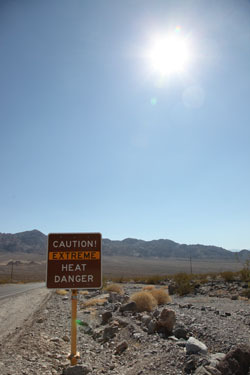 You’d think that August in Death Valley would be suicide – and rightly so. 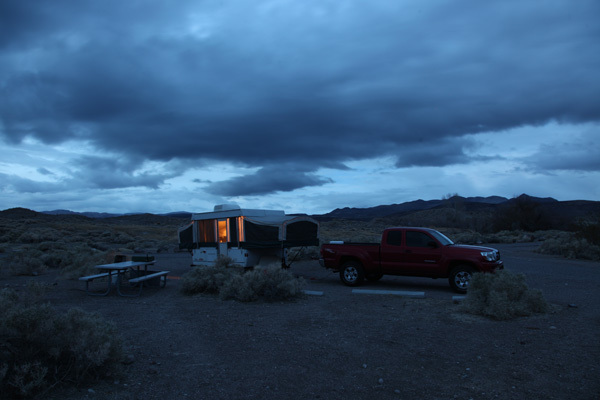 However, the campground I stayed at was up in the mountains on the west side of Death Valley. Mahogany Flat Campground is up above 8100′ elevation and has 10 campsites. It also has some of the darkest skies in the US. 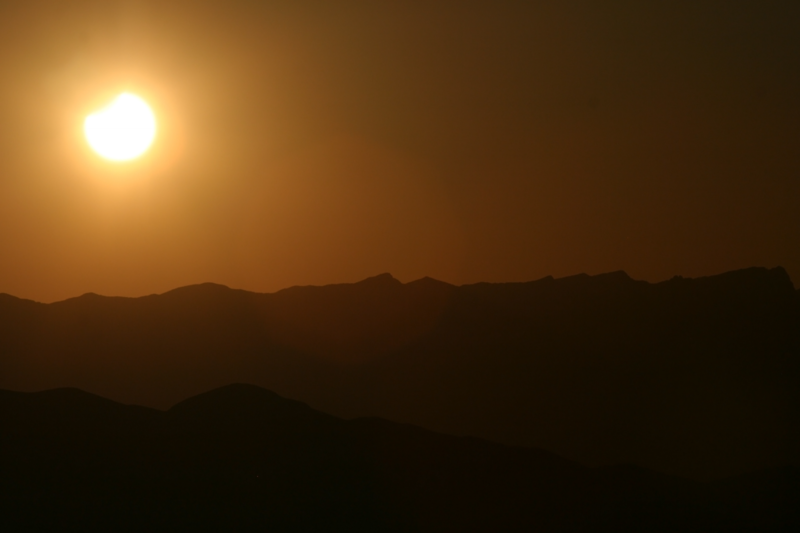 The temperatures were in the high 40′s at night and about 85 during the day. The temps in the valley floor were near 115 degrees. The campground itself is nice, but fairly minimalist. At each of the 10 sites, there’s a space to park a single car. Each site also has a metal picnic table, fire pit, and a spot for a tent. There’s no power or running water at the campground. The bathroom is a pit toilet, but it’s the cleanest one I’ve ever seen. There are trees and bushes around the campsite, but none are very tall. They are just big enough and dense enough to be a problem for picking a spot for your telescope. Wildlife is fairly sparse too. There are a few ground squirrels and fewer birds, but that’s about it. I did see one falcon during my 4 days there, but it didn’t stick around for long. 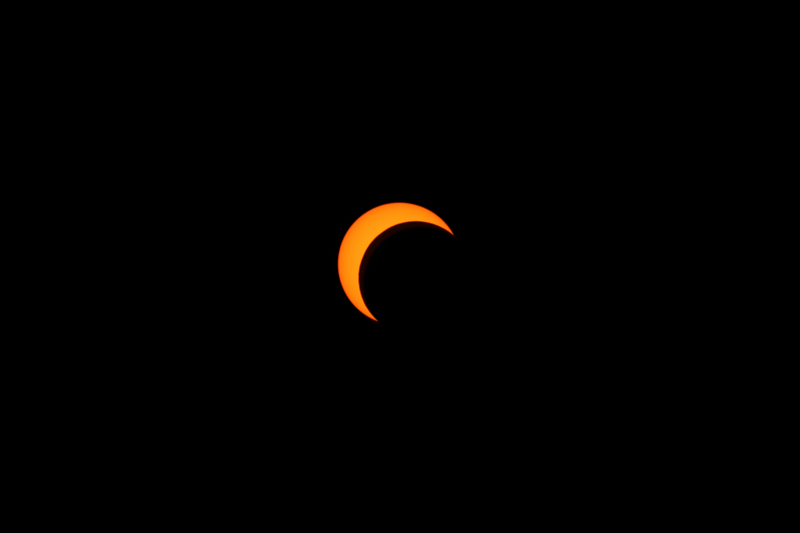 Cell phone coverage was spotty at best. My iPhone didn’t even hint at being able to find AT&T coverage, but others there were able to connect intermittently with other carriers. We decided to set up camp at the last few camp sites on the north end of the campground. We set up our scopes at the north end of the campground road just off the northwest corner of the turn around area. That left enough room for us to park our cars (to power our scopes and laptops) and set up our scopes in a clear area. This was the first time I’d taken my new Celestron CGEM mount out under the skies. I fired it up in my garage to make sure the hand controller and drive motors worked, but that’s all the prep work I had time for before the trip. It looks like the autoguide port on my mount is dead, but I had another way to autoguide (through the hand controller’s port). Everything worked out great for the new mount – it’s definitely miles ahead of my previous CG-5 mount. 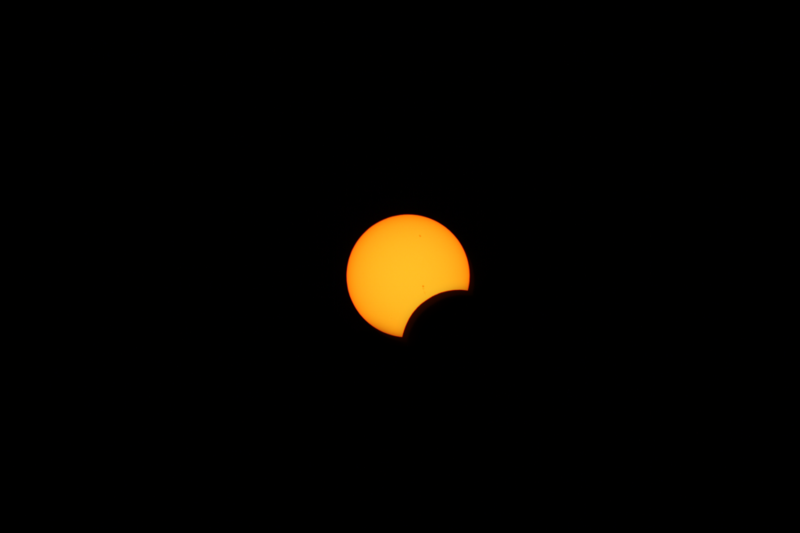 It was also the first time I’d used my piggyback adapter to take wide field shots. To use it, I had to take off my refractor and one of my counterweights. Towards the end of the first night, I used the piggyback adapter to shoot a Milky Way series of shots with my 5D Mark II and 15mm fisheye lens. The shot below covers almost the entire sky. The southern horizon is just out of the frame on the bottom left of the shot and the northern horizon is at the top right. The western horizon (and just a hint of a mountain) is at the bottom right of the image. 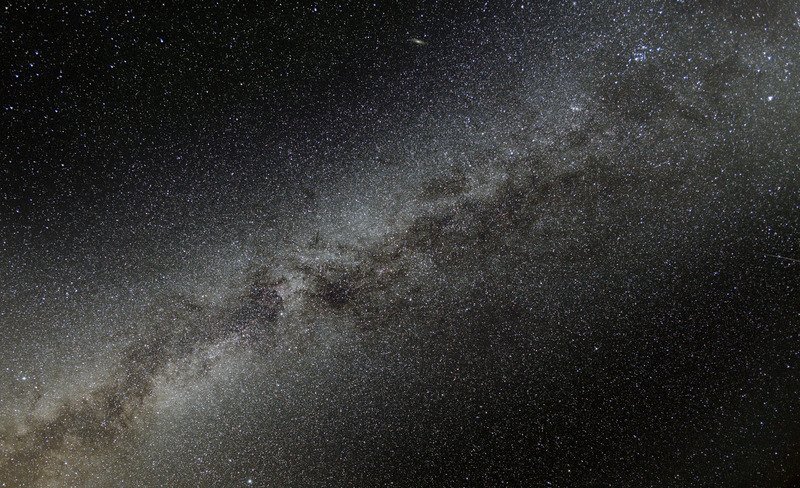 You can also make out the Andromeda Galaxy (Messier 31) towards the top center of the image. The wind was howling at higher altitudes the first night, so I didn’t really catch any great shots of deep space objects. 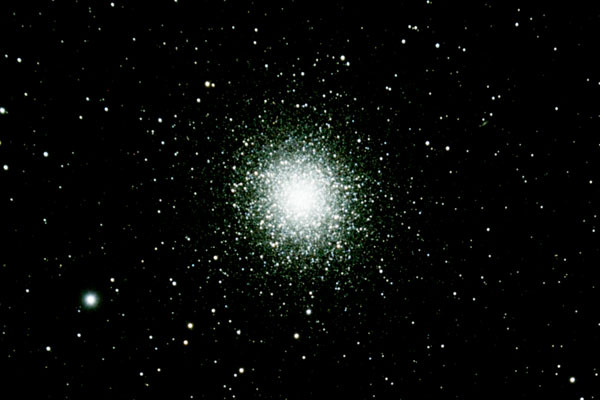 Conditions were better the second night, so I started out with a series of 5 minute exposures of Messier 13 (globular cluster in Hercules). 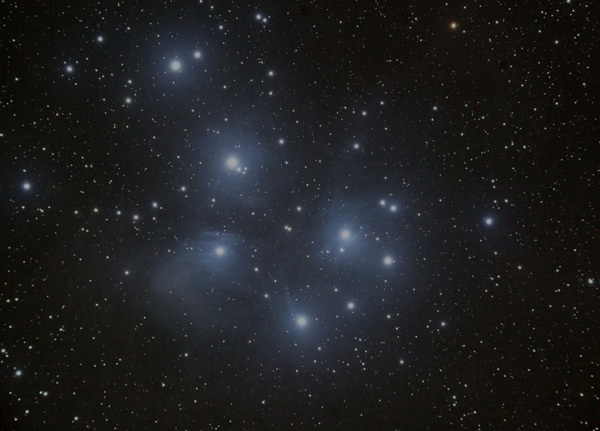 The image below is 14 frames at ISO1600 and 300 seconds each through my 80ED. The last night had the best conditions. 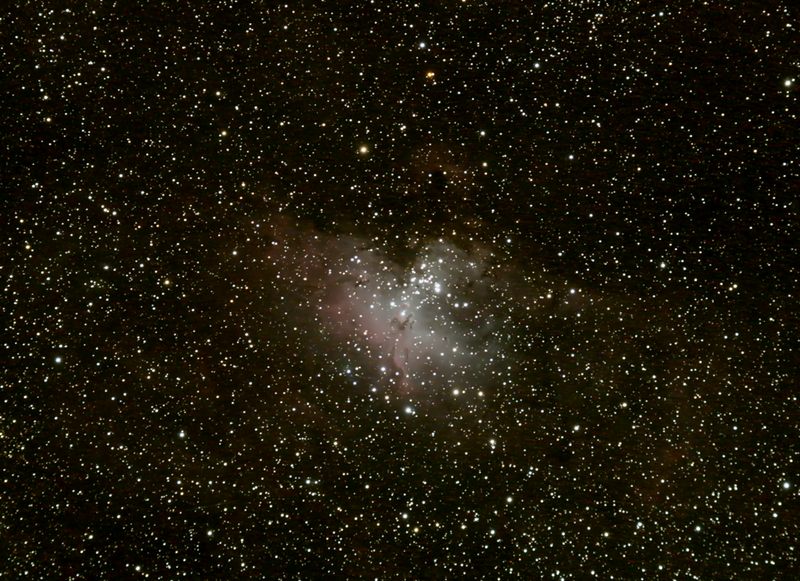 I shot the Eagle Nebula (Messier 16) and Messier 24 (a large open star cluster). 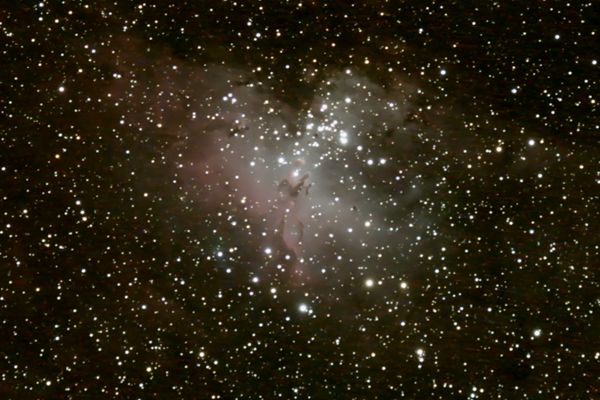 The Eagle Nebula image below was 14 frames at ISO1600 and 300 seconds each. It was a great trip. Mahogany Flat is definitely one of my favorite places to take the telescopes. Sitting outside at night hunched over a telescope & laptop does get chilly though. I’m glad I brought a ski jacket & stocking cap. Snow hits this campground in the early to mid fall, making it inaccessible. Until then, Mahogany Flat is a great place to escape the heat and enjoy dark skies. One of the most rewarding and learning-filled experiences as an amateur astronomer & astrophotographer is a dark sky trip. They can also be the most frustrating way to spend time alone in the middle of nowhere. If you just jump in the car & go, you’re trip will likely be horrible. Pulling off a great dark sky trip requires some planning. Plan on taking some serious time getting ready for your trip – time you spend at home will pay huge dividends in the field. This guide is aimed at getting you in the right frame of mind to get ready for your next dark sky trip. This isn’t an all-encompassing guide. You will likely think of other things that need to be done before your trip. If so, leave a comment so that the rest of us can learn from you too. Imagine setting up your telescope after 5 hours of driving to your new favorite dark sky spot. You unpack your telescope and find that your snazzy go-to mount’s hand controller is broken. You don’t have cell coverage, the nearest telescope shop is 7 hours away and you only have two nights worth of vacation away from work. Your trip is ruined. 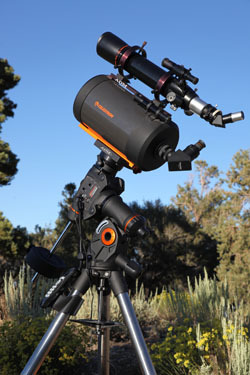 One of the quickest ways to ruin your trip is to have a critical piece of astronomy gear that isn’t working correctly. The best way I’ve found to make sure everything is in good shape for your trip is to have a full-up dry run…in your back yard. City lights won’t get in the way of you aligning your scope, autoguiding, and taking some long exposure shots of some bright stars. Plan a night where you get all of your gear together and run through every single thing you want to do in the field. I do this before every trip and it’s saved my bacon more than once. Tripod leg operation – do they adjust properly? Your dark sky site won’t be flat, your tripod legs need to work. Telescope(s) attachments, dovetail, mounts, etc. 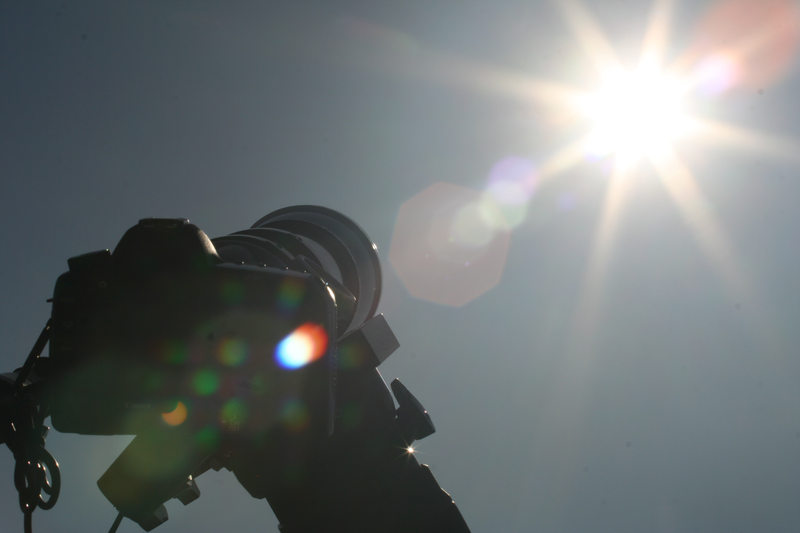 Telescope(s) – make sure the lenses are clean, focusers work, and you have all their parts. 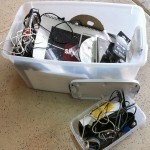 Camera mounts, cables, power adapters, and memory cards. I recommend an A/C power adapter for your camera. Taking 5+ minute exposures can eat batteries in no time. Camera sensor – make sure it’s free of dust. Take it in to a camera shop to have it cleaned if needed. Laptop astronomy software. I use a laptop to autoguide and take images, so all that needs to work. Update the laptop with the latest operating system & software updates. Make sure things work AFTER all the updates are done. Download every driver, manual or tutorial that you or someone you know might even think about needing. It’s also a good idea to turn your wireless network card off, because you won’t have any internet out where it’s dark. Laptop hard drive space. Photography can generate lots of files. I make sure I have at least 50GB of free hard drive space to make sure I don’t have any problems. You’ll have to adjust that hard drive requirement based on your equipment and how much you plan on shooting. Backup external hard drive. I use one to back up my photos every day. I keep it separate from the laptop during the trip to make sure if one breaks (or is stolen, etc. ), the other is probably still ok. I use this drive and it works great for me. Power. Depending on your equipment, this may be as simple as plugging things into your car or as complex as a generator, inverters, solar cells or more. Make sure it all works. Other stuff: folding table, chairs, flashlights, camping lantern, etc. You absolutely do not want to waste time once you finally get out to pure darkness. You need to know how to do every step of your astronomy and astrophotography process before you go. Please don’t take that as “you can’t learn in the field.” Dark skies are great teachers. However, the more you know how to do before you get there, the more ready you’ll be to take advantage of the darkness. If you’re into astrophotography (or think you might be), you need to learn how to accurately polar align your telescope. To take long exposure photos, the alignment of your telescope relative to the rotating Earth is absolutely critical. Drift alignment is generally regarded as the most popular way to align your mount with the heavens. There are lots of drift alignment tutorials online. A quick Google search of “Drift Alignment tutorial” will give you piles of results. Your telescope’s manual even has one. One of the best drift alignment tutorials I’ve seen it’s from Pete’s Astrophotography. There are animations for each step AND an alignment simulator for you to practice on before you even leave your desk. Here’s Pete’s polar alignment tutorial. Another major step in getting good astronomy photos is actually making your camera take photos. Today’s digital SLRs (DSLRs) are incredibly powerful devices. Today’s dedicated astronomy CCD cameras are technical marvels. Neither type of device works without your help. Before you leave for your trip, you should know how to make your camera take pictures. 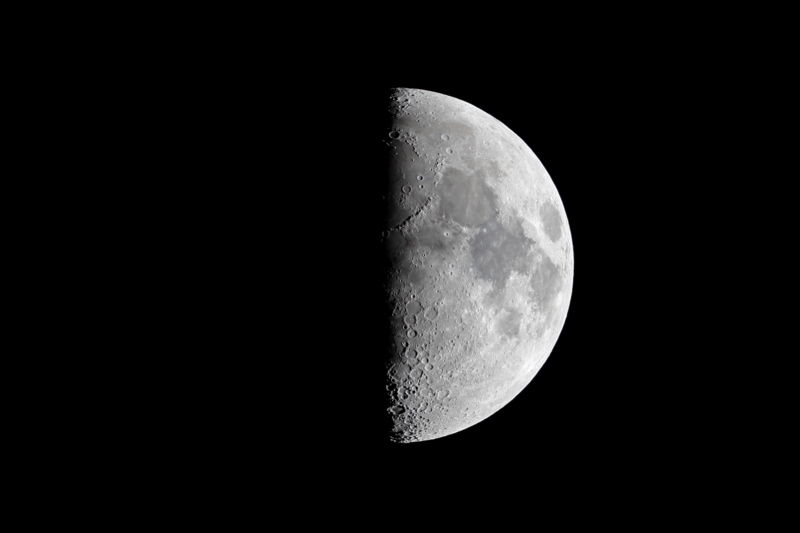 To practice this, mount your camera to your telescope (using a T-mount or your favorite adapter), connect the power & computer cables, cover your telescope’s business end and take a series of 5 minute exposures. To get great photos, they need to be in focus. Take your time nailing the focus! If you’re planning on taking any long exposure photos (longer than about 30 seconds), make sure you have the capability to guide your setup. Go-to telescope mounts slew at the same rate as the stars fly through the sky, but to take great images you need to finely adjust your telescope’s tracking while you’re taking those long exposure images. Autoguiding is my preferred method to make this happen, but you can manually guide your scope if you don’t mind being hunched over it all night. In a nutshell, autoguiding is a system that can capture camera images repeatedly, analyzing those images for drift, and command your telescope back to where it’s supposed to be pointing. 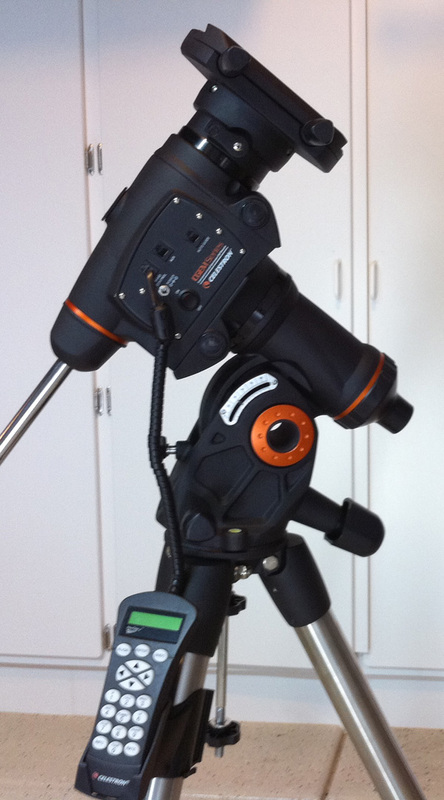 For autoguiding, I use an Orion Starshoot Autoguider connected to my laptop and PHD Guiding software (the software is free from Stark Labs). Whatever you decide on, you’ll need some sort of camera that can connect to your computer and an open optical path in your telescope, and a way to connect your laptop to your telescope. You’ll also want to do some sort of post-processing in the field. You don’t have to bring the capability to build your final museum-quality images. 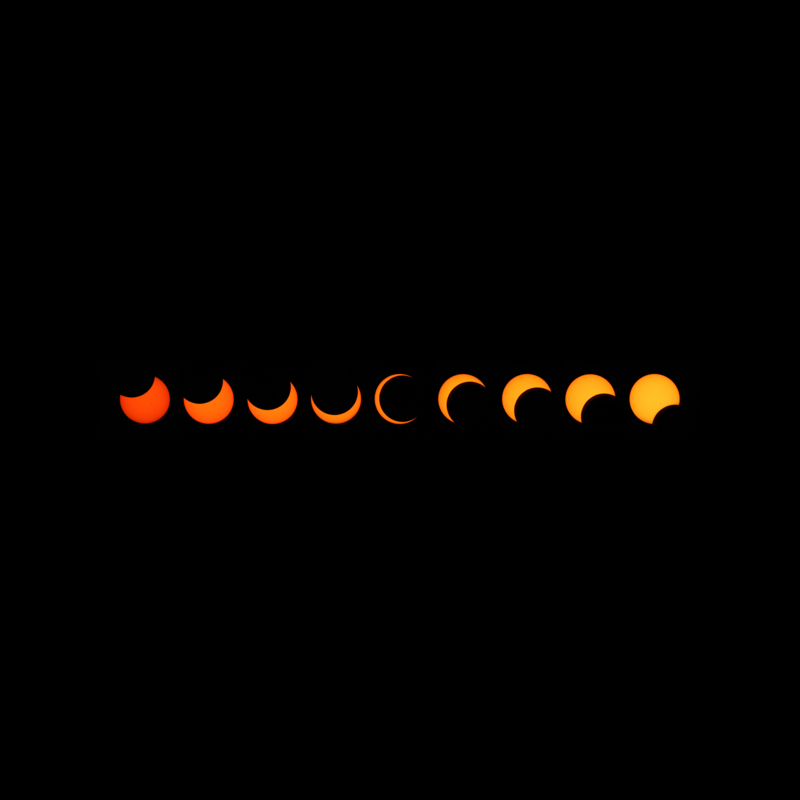 However, being able to stack photos together, subtract out darks, and remove some noise will go a long way towards giving you a good feeling after the first night that you’re on the right track. 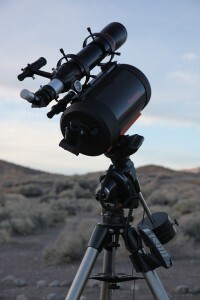 Besides, the people in the camp site next to you will probably come visit to see what your telescope is all about. It’s great to have something to show them. 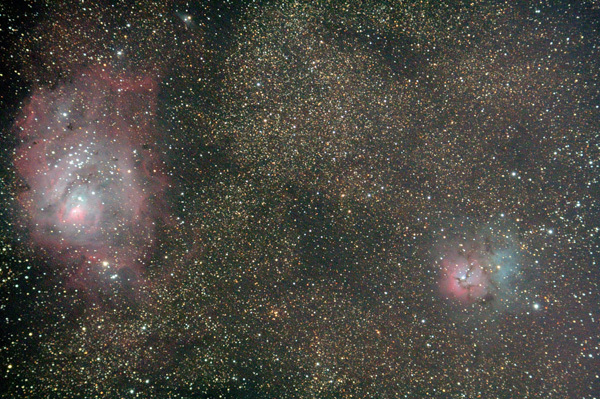 Nebulosity is my current software of choice for image capture and initial post-processing. It’s available from Stark Labs for the Mac or PC and is very reasonably priced for how powerful it is. 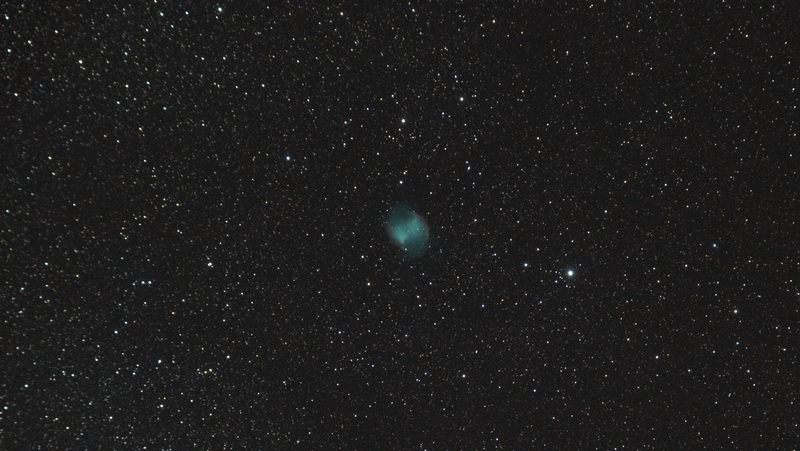 Honestly, besides Nebulosity, not much post-processing is usually required. 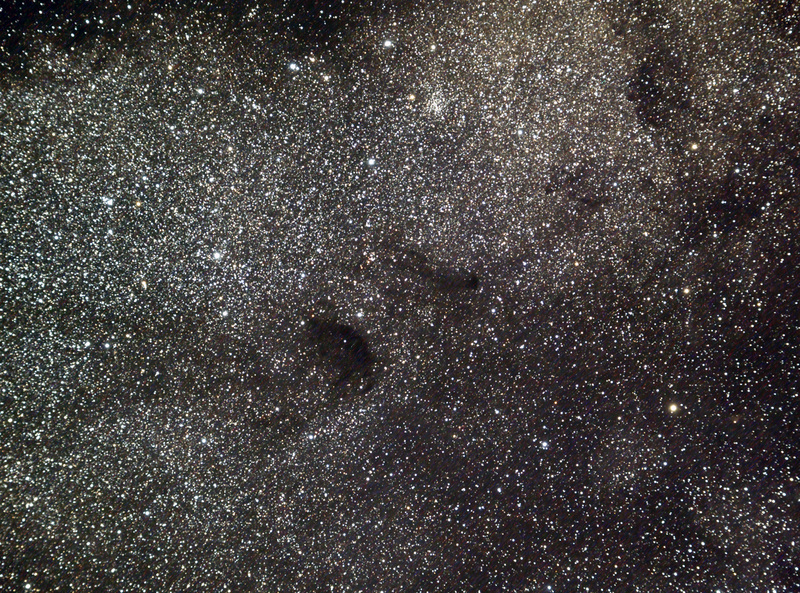 I typically handle the final noise reduction and cropping in Photoshop, but I do everything else in Nebulosity. 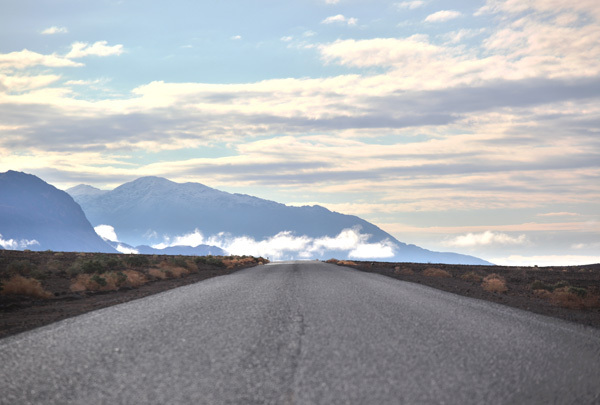 On a dark sky trip to Death Valley this winter, I was fumbling around the first night and accidentally stepped on a USB cable that had fallen onto the ground. I broke the connector on one end of it in the process. Unfortunately, that was the cable that connected my laptop to my autoguiding camera. 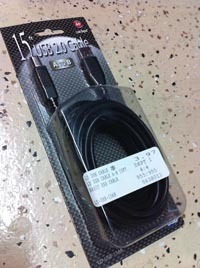 Without that $5 cable, I couldn’t properly track stars during long exposure photography. Luckily, I had a spare tucked away in my bin-of-random-astro-goodies. If I didn’t have a spare, my trip would have been wasted because of a $5 part. Almost by definition of a dark sky site, you’re out in the middle of nowhere. Find someplace dark. Unless you have friends or a local astronomy group to ask, the best way I know to find dark skies is to use the Clear Sky Chart. I recommend entering your home town, clicking on it (or something close by) in the search results page, then click on the 120 mile list under “Other Charts.” From there, you should see a list of sites like this. Browse through the sites and note their light pollution. The darker the color in the light pollution column, the darker the site. You can cross check this with the Light Pollution Map to find a few possible places to go (the link to this map is on each individual sky chart page underneath the black sky chart with all the colored squares on it). After that, do some Googling to learn about each site. Compare each site’s light pollution to your back yard’s. You need to consider the pain of getting to the dark site compared to the gain of the skies there. Is power available? At many places it won’t be. I usually try to find a place that doesn’t have power available – they usually end up being darker. Are there places to stay near by? This could be hotels or camp sites, but you’ll need some place to sleep. Are water & toilets available? Other other stuff: What else is there to do there? Some people are happy to sit by there telescope & in their tent. Others aren’t. If your non-astronomer significant other is joining you, don’t screw this part up. 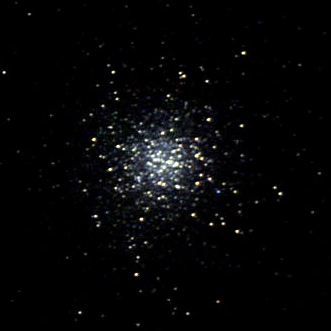 If you are certain you can take a good picture of a globular cluster, go for something with some nebulosity in it. Messier 42, the Orion Nebula, is a great choice for a first attempt at a nebula. It’s bright enough that you can see quite a bit of nebulosity in even unguided 30 second exposures and has bright stars you can autoguide on right in the middle of the nebula. If you do a good polar alignment, a series of 30 second unguided exposures of M42 can make for a “wow” photo. 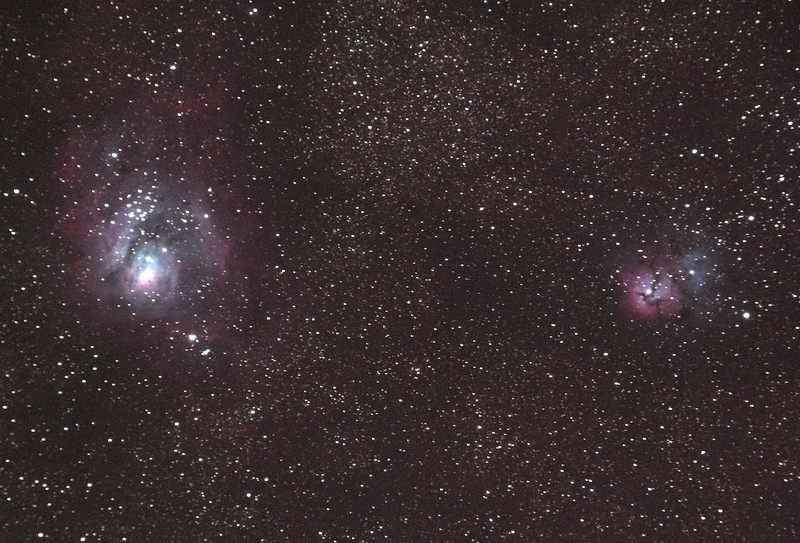 A favorite summer target of mine is the Messier 8/Messier 20 complex shown below. Pick a target that’s within your reach based on your equipment and skill level. Set lofty goals (“I’m going to shoot a great photo of M20″), but if you set goals that are impossible (“I’m going to image a planet in another galaxy”) you won’t be happy. Don’t overestimate how many photos you’ll be able to take. 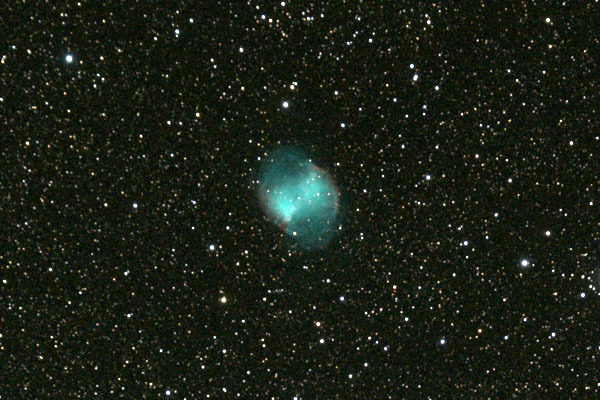 If you want to take a series of 20 photos at 5 minutes each of a deep sky object, that will easily take two hours of imaging once you include all the image downloading, camera rest time, and other adjustments. You can probably plan on 30 minutes to an hour of focusing and image framing before you even start that series. I typically plan on two or three objects a night. Depending on the object, I may shoot the same thing for multiple nights. It’s good to have backups in case clouds cover your primary target or you didn’t realize that a mountain will be in the way. Take your time for each target and get the images you set out to get. I typically plan to stay awake all night while I’m imaging. With my current skill & equipment, the longest nap I ever feel like taking at night is about an hour. As you can imagine, that will make you tired the next day. I try to get to sleep just before the sun rises. If you’re trying to sleep during the day and you are at a campsite with other people, earplugs are your friend. You’ll probably have some time to do something other than astronomy while you’re there. It’s worth researching the local area to find a few things to do. Since you’ll probably be somewhere in the wild, hiking is probably something you could do. Day photography might be worth your time too. By the end of your trip, you’ll be dead tired. Be safe when getting back to civilization. I always plan on being well rested before driving home. It’s tempting to load up your car as soon as the sun comes up on your last morning, but please take your time & get home safely. Hopefully your collection of astronomy stuff is better organized than mine (yup, that’s my astro-goodie bin on the right). However you manage your equipment and accessories, make sure you have everything you need before you load your car for the trip. I don’t make dark sky trips often enough to remember everything off the top of my head, so I made a checklist & saved it on my computer. You can grab a copy of my checklist here. Feel free to modify that checklist or create a new one on your own. When you’re packing your car, just remember that you’ll be 1000 miles from nowhere. Bring what you need to make your trip a success. It’s finally time. You’ve checked your gear. You’ve practiced everything you need to do. You’ve bought spare parts. You’ve found the perfect dark sky site. You’ve found your astrophotography targets. You’ve checked the weather. You’ve even planned a few other things to do while you’re enjoying some peace and quiet. Double check everything. Triple check everything. Now go!